This content details how you can use Doogee F5 Phablet Stock ROM to unbrick or restore the device back to normal. Previously, I briefed you guys on how to root Doogee F5 phablet and I know that the method I revealed to you guys pretty worked like a charm. However, for those of you that missed that chapter can take a stroll back to that content and read up. Recently, I was trying some malicious stuffs which I knew would brick my Doogee F5 smartphone, and unfortunately for me, I got my device bricked. So, if your Doogee F5 device is bricked, you don’t need to panic, with just few steps ahead, you can get to unbrick it. Outside bricking issues, you can use Doogee F5 Stock ROM to restore your device to normal (just as I said earlier) especially when you did installed a buggy custom ROM or you wish to regain the warranty of the device. Before you can install or flash Stock ROMS on your Doogee F5 Phablet, there are some protocols you’ve to observe and that includes the basic requirements. 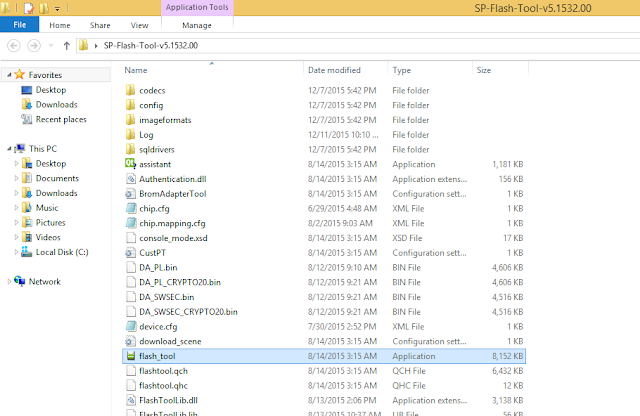 How to Flash Doogee F5 Stock ROM using SP Flash Tools? Step 1: First download the Stock ROM file from the link provided above, and then extract the “DOOGEE-F5-Android5.1-20151022” folder to the desktop screen of your computer. Step 2: Now, power off your Doogee F5 device (if it’s a bricked device simply hold the power button to power off). Step 5: Once the flash tool is launched, then click on the download tab and click on scatter loading button. Step 6: Now, locate the “MT6753_Android_Scatter.txt” file, which is on your desktop, also endeavor to click on the “Format All + Download” option just as circled in the image below. That’s it on how to flash Doogee F5 Stock ROM on any Doogee F5 device. If you encountered any difficulty during the process, do let me know via comment section. Also feel free to share this guide to your friends. "Outside bricking issues, you can use Doogee F5 Stock ROM to restore your device to normal (just as I said earlier) especially when you did installed a buggy custom ROM or you wish to regain the warranty of the device." I haven't found any custom ROMs for the F5, buggy or not. Do you have any? The download completed, the green validation appeared but nothing changed on my F5... Black screen! I used everything you provided. make sure you select the Format all + download on the drop down... as seen in the circled image provided in the post.. I still haven't seen any signs of Custom ROMs for the Doogee F5? So you who sees to have trouble to get back to stock. what ROMs are you using and where to find them? For this point, I am agree with you, the Oukitel k6000 pro is better. Cannot download VCOM drivers for some reaason.. Thanks man you halped me a lot you are a GOD!!!! what reasons if I may ask? Unbricking/Flashing stock ROM with this manual=successfull, but I have one annoying problem after that..permanently changing MAC adress (NOT IP adress)..so lots of problem with wifi connectivity after that. So can anybody help with this? Download the latest stock ROM from Doogee instead of the old one in this thread. It might help. Which custom ROM did you use? The device is good with 5.5 inch FHD display, 3GB RAM and 13MP camera, but the battery is only with 2660mAh and it runs old Android 5.1 OS. Instead, the 6.0-inch vkworld T1 Plus smartphone (Android 6.0, 4300mAh battery) can be a better option, maybe.